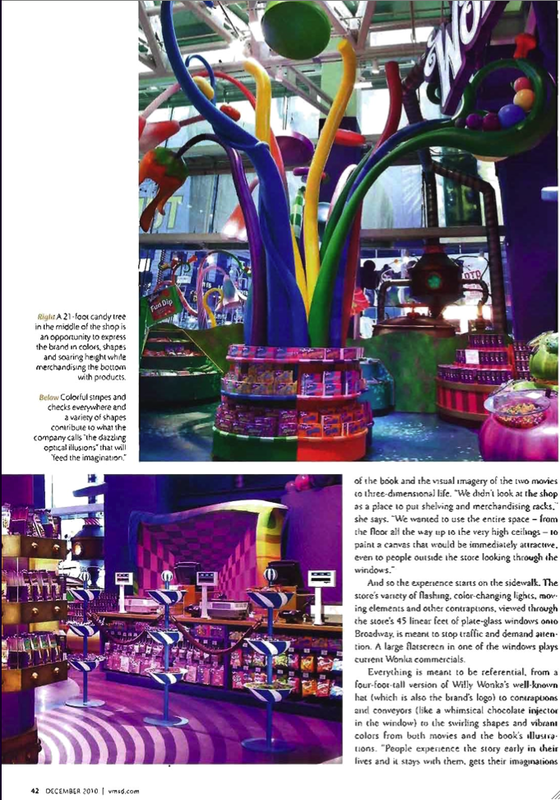 VMSD Magazine – How Sweet It Is! 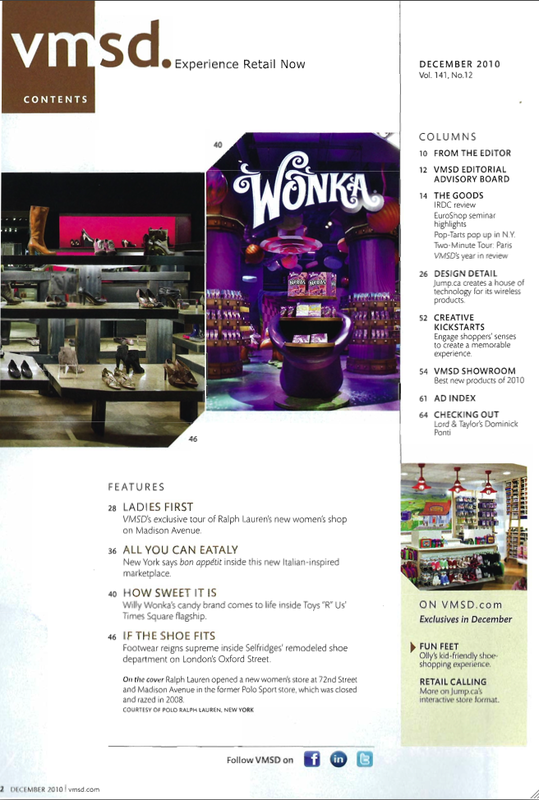 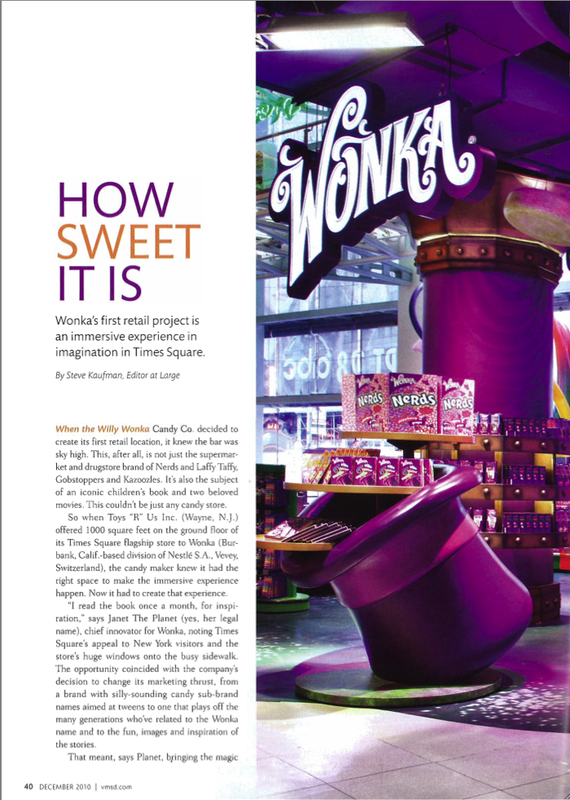 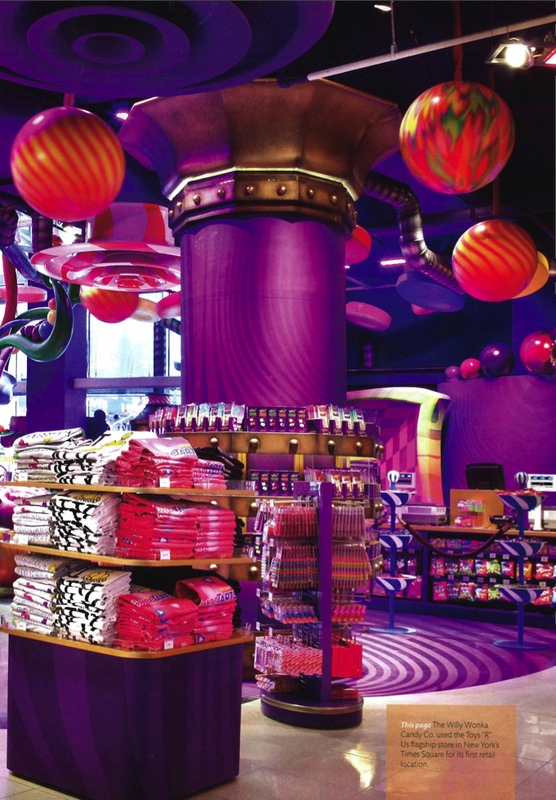 Four page feature article covering the design of the WONKA Store in Times Square. 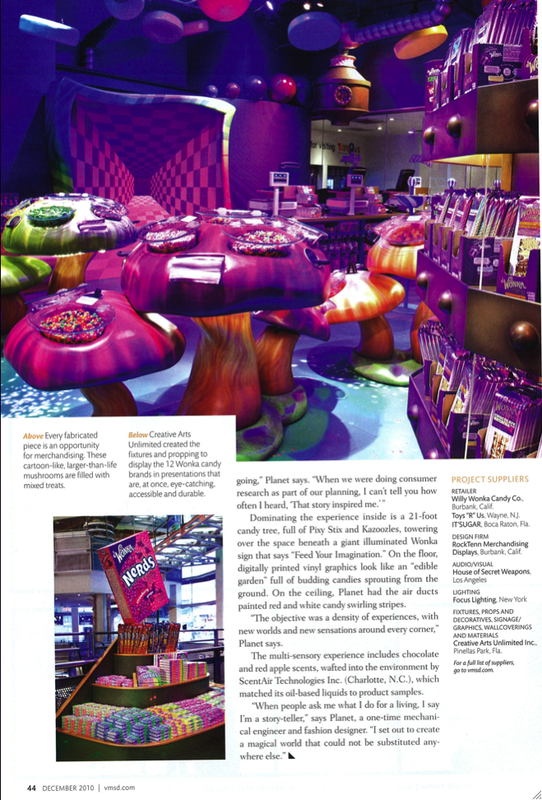 Visual Merchandising and Store Design Magazine, December 2010 issue. 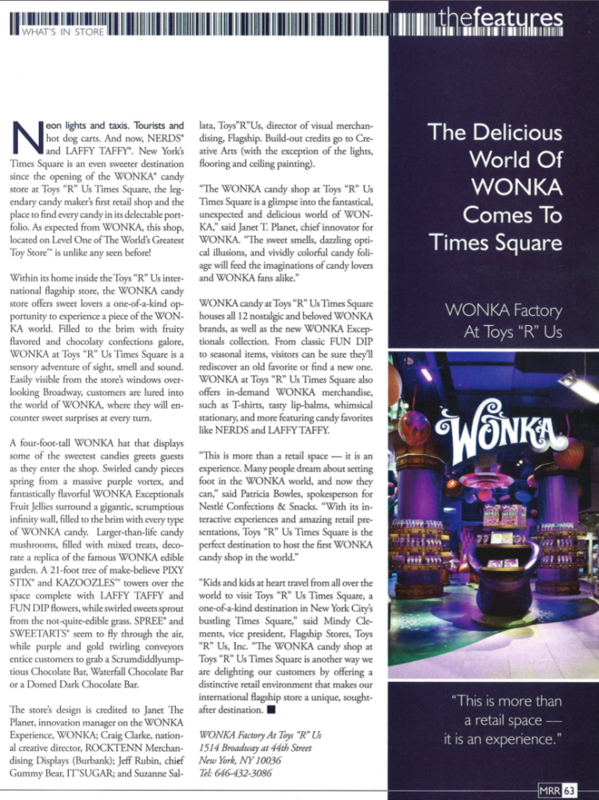 Click each page to read – use back button to return to this page.